My lemon tree was labouring under a heavy burden of fruit. The least I could do for it was to take some off the branches and ferment them. I made three variations. One with rosemary, black peppercorns and bay leaves, one with a cinnamon stick, black peppercorns and bay leaves, and one with coriander and cumin seeds with bay leaves. Here’s how to make the cinnamon and pepper version, the others are similar. This recipe is for the fully cut lemons, not the slit lemons. Cut the lemons into 6 or 8 segments, depending on size. Put 1 tsp of salt in the bottom of a 1 L jar (2 pints or lb near enough). Put the lemon segments in a bowl, and add 1 tsp of salt per lemon. Massage well. I usually cut the central pith away from each segment, and pop the seeds out. Place the lemon wedges in the jar, peel side out, and add the spices as you go. Push down as best you can. When at the 800 ml mark, juice 1 small or half a large lemon, add this, and the last tsp of salt. Take the spent half or quarter of the lemon you juiced, and lay it over the packed lemons. Place a food safe weight on this. Seal the jar. A few times every day, upend the jar to ensure all lemon is covered. In 3 to 4 weeks (monitor for pressure and release as necessary) they will be ready to transfer to the fridge. 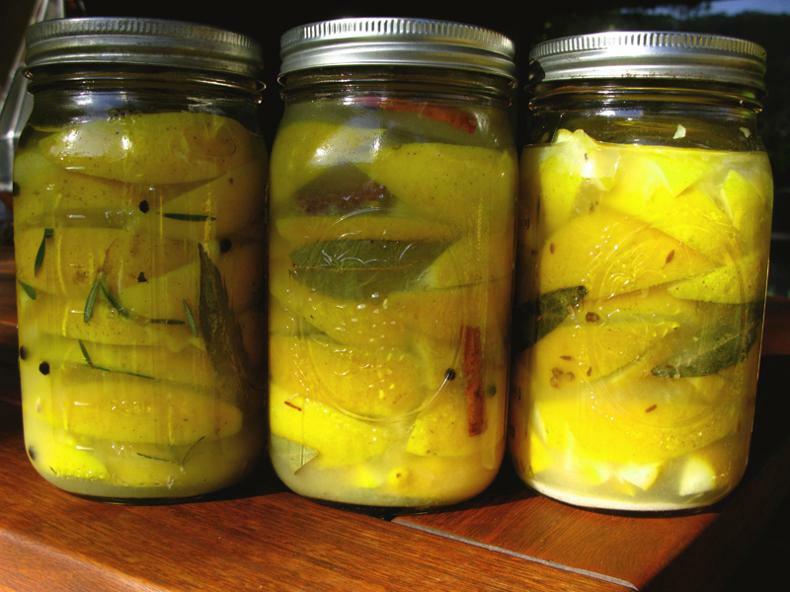 When ready to use your preserved lemons, remove the mushy remains of the flesh and the pith, then add the preserved peel to Moroccan, other North African, or Mediterranean dishes. Use the brine in salad dressings or marinades.